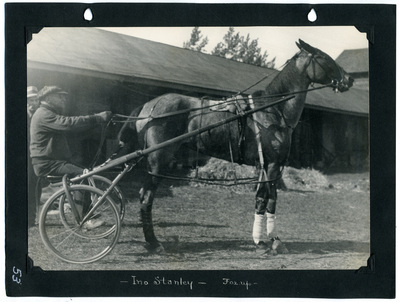 Black and white photo of Ino Stanley posing outside the sheds in the back area of the Cumberland County Fair track, 1924. Driver is Frank P. Fox. Ino Stanley placed in the Sept. 17, 2914 2.15 Pace.